When it comes to hair, it seems the grass is always greener on the other side. These days, hair envy is almost as real as ‘all my friends are in Santorini right now’ holiday envy. I have to admit that up until I was twenty I was convinced if I straightened my hair enough times it would stay that way. I can’t believe this myself but it took Ben more than a few months to realise my hair was actually curly. Turns out our hair relationships can be as complicated as human ones. What I’ve learnt over time is that the key to a great relationship with your hair (that is, loving it) is compromise, experimenting and forgiveness – I’ve learnt not to be angry at my hair for being frizzy in humidity (Although I refuse to forgive Hong Kong for these 46 degree days!). It’s always a fun process of discovery – cutting, curling or colouring and seeing what works, what doesn’t and what eventually grows on you. Literally and figuratively. 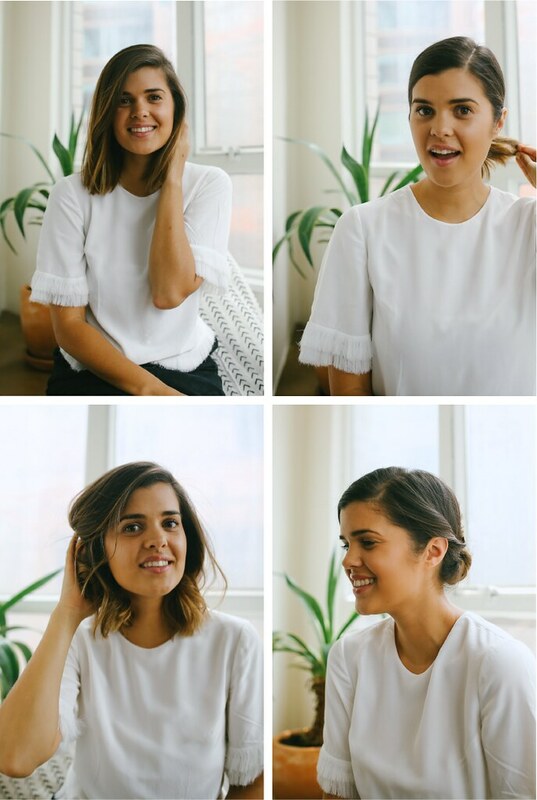 In partnership with Dove Hair, I thought it would be fun to show you some of the ways I love to do my hair with my four personal go-to styles. 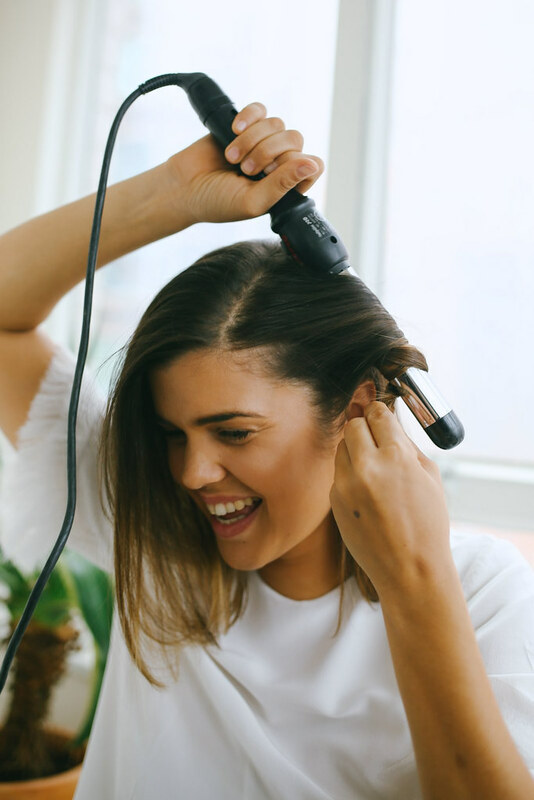 For more inspiration, head over to the Dove Hair Pinterest page and you can watch the Dove Love Your Hair campaign film here. Currently counting the reasons to #loveyourhair. 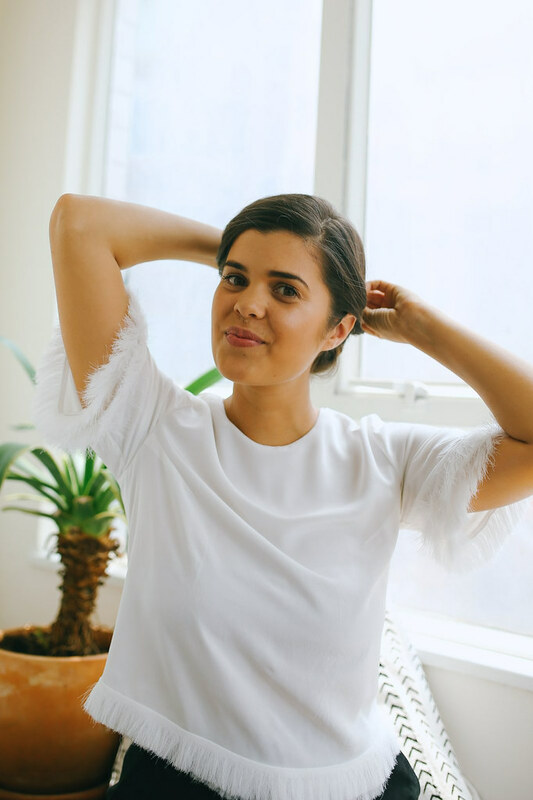 My four go to’s: Straight Up, Go Low, Messy Waves and Up Do (with a difference). In typical me style they all have (somewhat) simplicity in common – I never have long to get out the door! 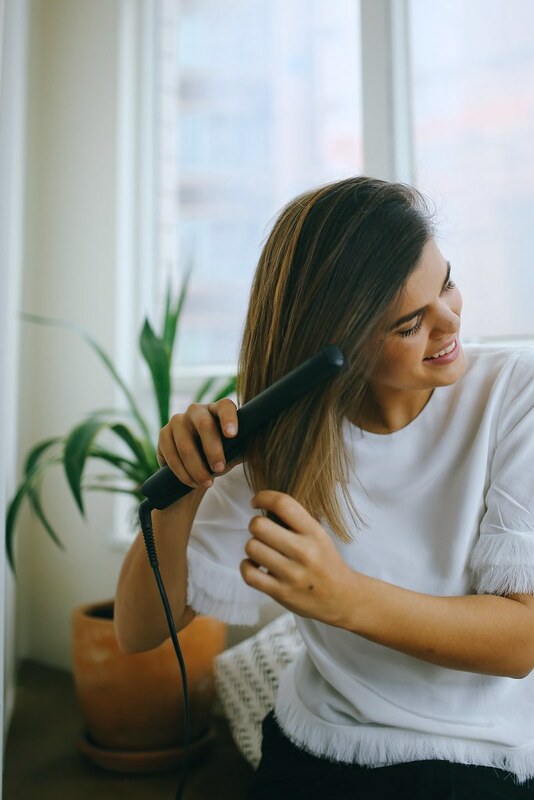 This is what is says on the tin, a sleek and straight do that out of all of the looks probably requires the most attention – and low humidity! After toweling dry I give it a quick blast with the hairdryer then straighten using a fine tooth comb. Although a pony is pretty basic, I feel like this sleek version takes it up a notch. Well it’s basic in how easy it is but when side parted and spritzed with hairspray for a little shin and sleekness, it’s the perfect business to party situation. The difference being t takes me all of about 25 seconds and 4 bobby pins to bring this one to life, this is go to for when I want to look pulled together but have limited time to apply to my hair. 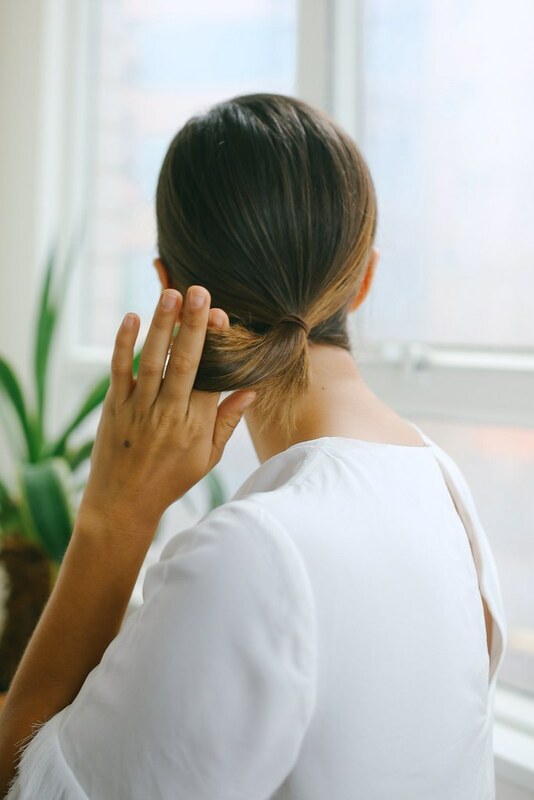 I side part my hair, and twist one section on each side to the back, and then pin the rest of my hair in a loose messy bun. Easy! This post is sponsored by Dove. Photos by Bryant Lee and top from Iris & Ink.